How about having a peek at some crafty eye candy today? Some of those supplies that just make you go "Oooo, pretty..." and brighten your day. My go-to source for those pretties is Sugar Pink Boutique. And for pretty accenting, try millinery flowers like this Forget Me Not Spring Mix Bouquet. Each flower has a bendy wire so it's easy to use it to embellish favors, hats, dolls & hair accessories. There are loads of other great items too and they always ship fast to get your crafting started right away. 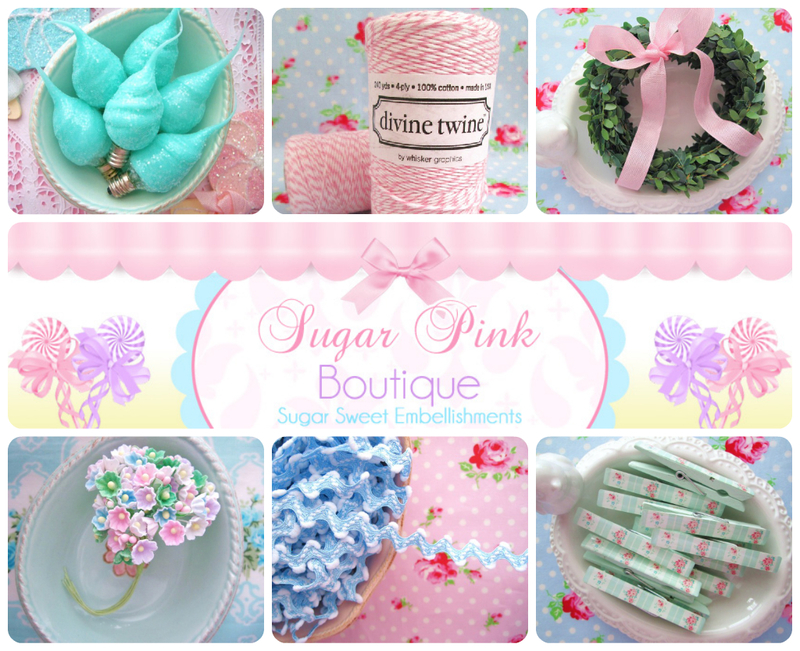 You can also find Sugar Pink Boutique on Facebook, Twitter & Pinterest to treat yourself to seeing even more of their sweet crafty treats. Head over & see what other little treasures are waiting for you! I received payment for this post. The opinions are completely my own, based on my honest experience with the items referenced, which I have purchased myself. Just Beautiful I loved all the Large Pictures Gorgeous!! !